In the period JAN 2013 - SEP 2014 about 200 manuscripts were submitted to RGCI / JICZM involving 617 authors from 30 countries. 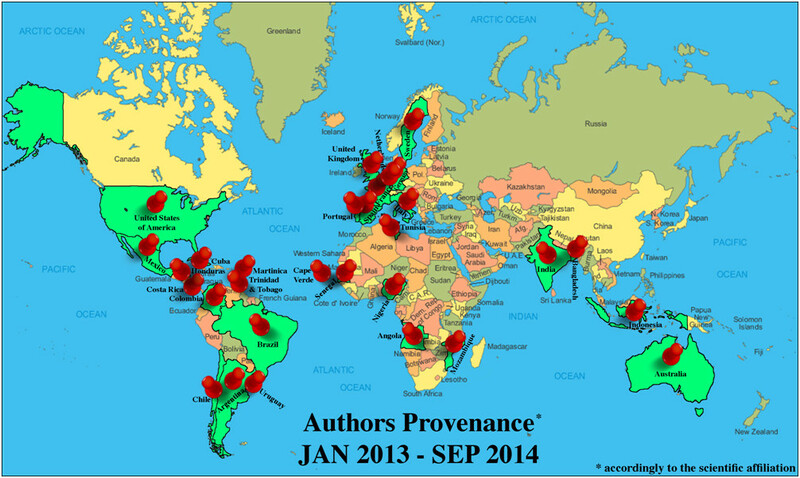 Majority of authors are from Latin America, followed by authors from Europe. Together, they represent around 90% of the authors that have chosen this journal to publish their research results. The journal’s penetration in other continents is still small. Only 5% of authors are from Africa and less than 1% from Asia. RGCI / JICZM takes special care with the peer review process, namely in what concern reviewers independence and scientific credibility as well as the process duration. Duration of peer review processes in RGCI / JICZM is quite fast. In the last three years peer review mean times were of the order of a little more than one month. Between January 2013 and September 2014 mean times for peer review were 34.3 days (maximum: 74 days; minimum: 4 days). In order to provide more security in editorial decisions, RGCI / JICZM tends to use more than two reviewers in the peer review process of each article. It can be said that currently the journal uses triple blind peer review processes, since the average reviewers / manuscript was 3.14. 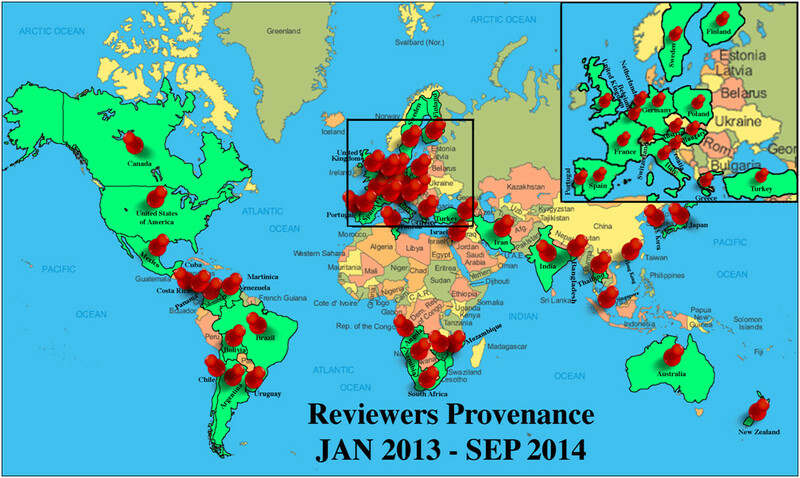 In the period JAN 2013 – SEP 2014, RGCI / JICZM had the collaboration of 366 reviewers from 38 countries in the peer review processes. Majority of the reviewers are from the Americas (53%) and from Europe (41%), although there is also a significant amount of reviewers from Asia (3,4%), from Africa (2,2%) and from Australasia (2,2%). We leave our deepest gratitude to the reviewers by the competent, fast and demanding work they have developed. Their function is not only to ensure that articles published by the journal have technical and scientific quality, but also to help authors to substantially improve their articles. Indeed, most authors recognizes that the reviewers criticisms and suggestions were essential to produce a final version of the articles with much greater quality. The peer review processes stringency is well expressed by the high percentage of rejected manuscripts. 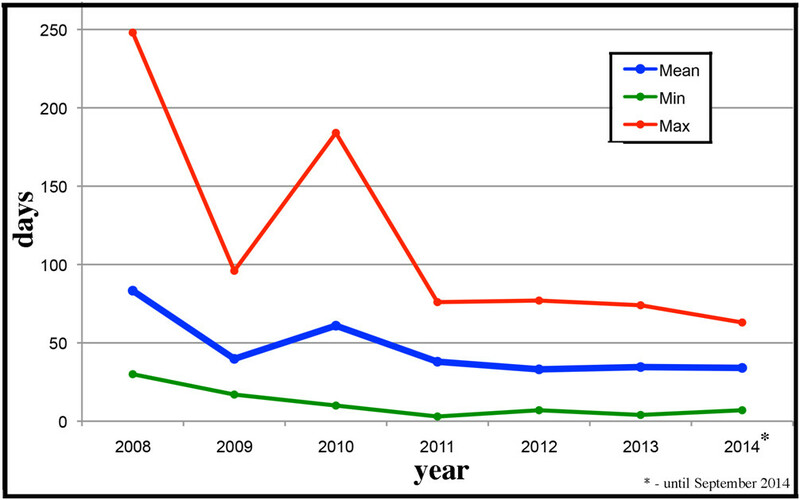 Between January 2013 and September 2014 around 30% of the submitted manuscripts were rejected. 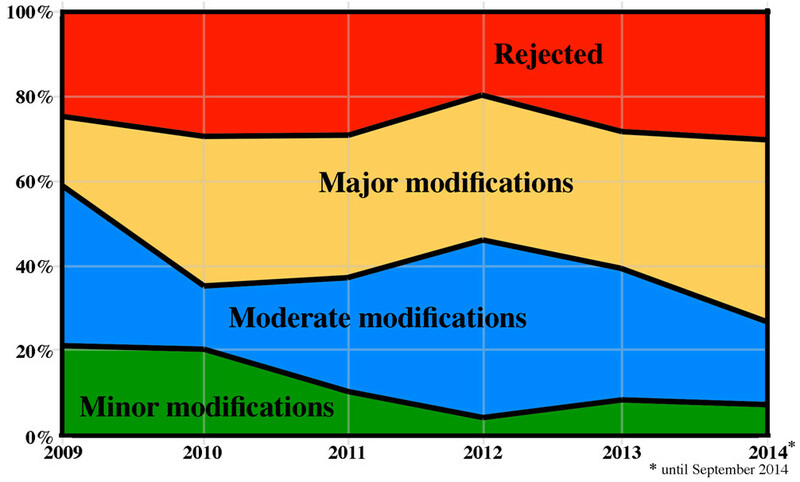 Most articles that may be published require up major modifications (30%), which has the consequence that several manuscript authors desist from making the required modifications (almost 8%). Only 8% of the submitted manuscripts are accepted after minor modifications.